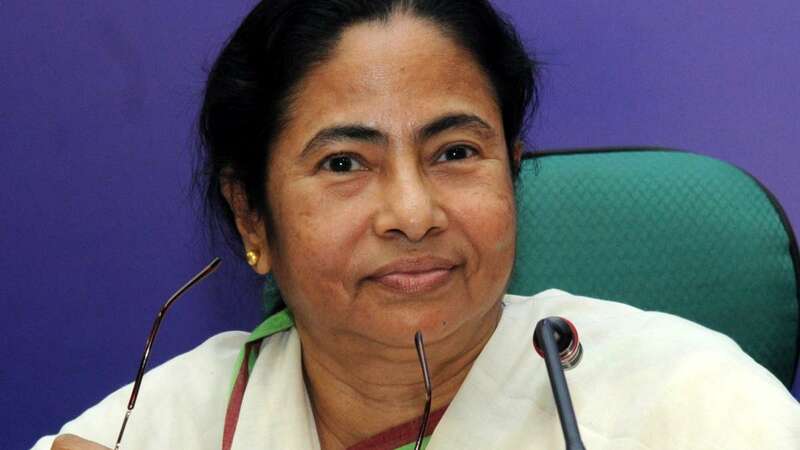 Kolkata : The stage is set for a mega anti-BJP rally at the historic Brigade Parade ground here on Saturday, that would virtually kick-start the opposition's campaign and is likely to provide the contours of a federal front ahead of the coming general election. Convened by Trinamool Congress chief Mamata Banerjee, who is aiming to project herself as the face of the opposition, the rally at noon is being attended by the who's who of Indian politics -- a former prime minister, several current and former chief ministers and stalwarts from various political outfits from across the country. Banerjee has arranged for a tea party for her guests at 4 pm on Saturday after the rally gets over. The venue is Soujanya, a new state government guest house, modelled after New Delhi's Hyderabad House. The leaders are likely to address the media about their deliberations post tea party. On Friday itself, Banerjee called on former prime minister and Janata Dal (Secular) national president H.D. Deve Gowda, Nationalist Congress Party supremo Sharad Pawar and Samajwadi Party chief Akhilesh Yadav, who have been lodged in different hotels. While Congress president Rahul Gandhi and his mother Sonia Gandhi have given the rally a miss, they have deputed senior party functionary and leader of the party in the Lok Sabha Mallikarjun Kharge. The Congress President on his part sent a message to Mamata Banerjee on Friday extending his support to the event hoping that the "show of unity" will send a powerful message of "a united India together" for ideas that the BJP and Prime Minister Narendra Modi were intent on destroying. Describing the Trinamool Congress chief as "Mamata Di" in the message, he said the entire opposition was united in its belief that true nationalism and development can only be defended on the tested pillars of democracy, social justice and secularism, "ideas that the BJP and Modi are intent on destroying." Over 20 leaders from more than ten parties are attending the rally and the tea party. Farooq Abdullah and his son Omar Abdullah (both National Conference). Tejashwi Yadav (RJD), Ajit Singh and Jayant Chowdhury (both RLD), former Arunachal Pradesh Chief Minister Gegong Apang, Hemant Soren of JMM, Patidar movement leader Hardik Patel, Dalit leader Jignesh Mevani and Mizoram opposition leader Pu Lalduhoma. Thre stalwarts of the first BJP prime minister Atal Bihari Vajpayee's cabinet and staunch anti-modi campaigners Yashwant Sinha, Shatrughan Sinha and Arun Shouriee besides Loktantrik Janata Dal leader Sharad Yadav and Babulal Marandi of Jharkhand Vikas Morcha would also attend the rally. The Trinamool Congress has claimed that four million people would be present at the Brigade Parade ground to hear the leaders at the 'United India rally', which would sound BJP's death knell, Banerjee said. Already, lakhs of Trinamool Congress activists and supporters from across the state have turned up in the metropolis, availing of all kinds of transport - via road, railways and waterways. Apart from bringing thousands of supporters from their respective constituencies, the party leaders have also made special arrangements for their food, lodging, security and other necessary amenities in different parts of the city.